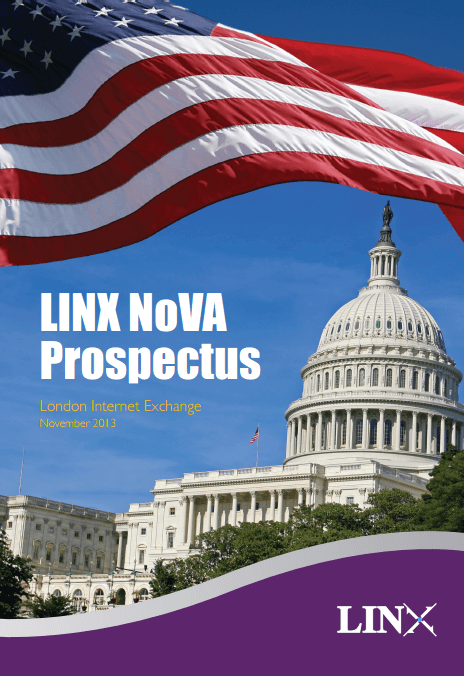 Following many discussions with the US network community and its own members, the London Internet Exchange (LINX) launched its own Open Peering Exchange in North America called LINX NoVA. The Exchange has been designed upon the proven successful model in Europe. LINX NoVA provides ISPs, content owners and network operators with the ability to peer Internet traffic from a choice of three different physical data centre locations across the NoVA metro area - Ashburn, Reston and Manassas. On January 2nd 2014, LINX NoVA became the first neutral Internet Exchange in Northern Virginia, and just a few days later, it was the first IXP to be awarded Open-IX certification. IX Reach has enjoyed being a part of LINX NoVA's history by being the first networks to connect to NoVA and exchange traffic. John Souter, CEO at LINX commented: "There has been a lot of attention worldwide for what we're building here. Our members called on LINX to build neutral, member-governed and distributed Internet Exchanges in the most important US markets where IP traffic is exchanged, and that is precisely what we are doing here in northern Virginia". Preparation for any Exchange is key, so LINX NoVA is using the MX960 router by Juniper which is capable of delivering 100G member ports straight away, and all NoVA locations are connected by diverse dark fibre lit by LINX for resiliency and redundancy. Although LINX NoVA is based on the same network architecture as LINX in London, it is key to remember that NoVA won't be connected back to the peering LANs operated in the UK. However, a connection service to the LINX peering LAN is available from anywhere on the IX Reach network through the LINX ConneXions programme.